We often work on branding projects where there is an existing logo and our client requires a creative solution to ensure consistency across key sub brands. There are many ways in which a sub brand can be developed and the most common approach is to not dilute the existing brand with various visually conflicting sub brands. A simple solution involves the corporate brandmark displayed prominently with a subtle sub brand attached usually set as simple text. The sub brand acts as a clear identifier without drawing away from the corporate identity. This style of sub brand has a strong consistent branding message and is simple to implement. This enables strong brand recognition and smooth integration with the current branding framework. This is a great solution for many sub branding needs however it can be restrictive and repetitive if specific sub brand personalities are required. 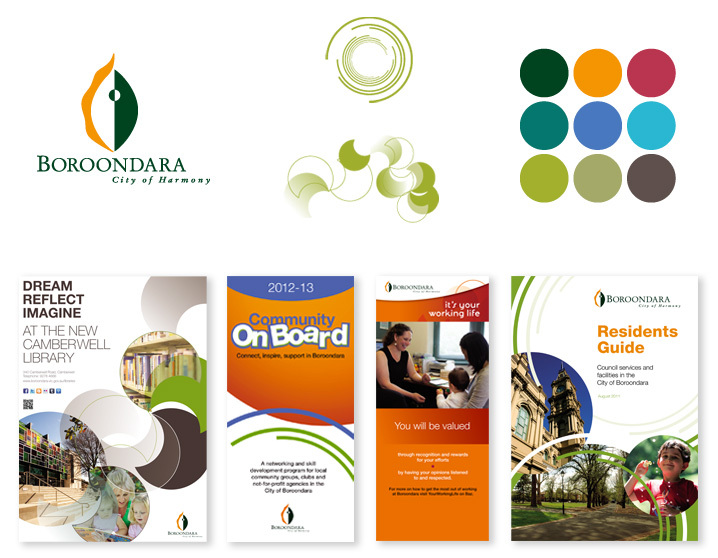 Recently we worked with the City of Boroondara where they have sub branding requirements that need to speak to various audiences in different ways. For the majority of corporate communication the main logo is used but for various projects and services more tailored branding is required. In order to retain as much of the overarching Boroondara branding and keep a consistent appearance we recommended the core brand elements such as colour, type, and corporate graphic elements be retained across all visual identity. 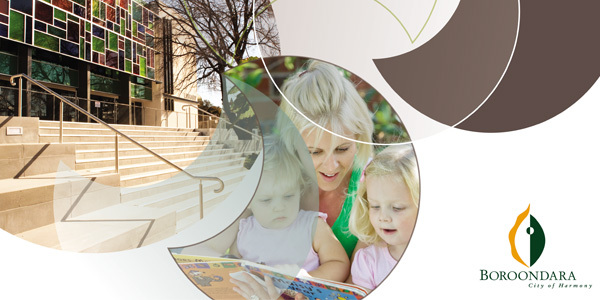 The City of Boroondara logo is also used on all material as a type of signature reinforcing the service as part of the City of Boroondara. This solution requires more creativity and planning and a centralised approval system is recommended to ensure consistency is maintained. Whatever solution is used, a branding system requires an overarching strategy and message that supports brand recognition and communicates with target audiences.